Today, audiovisual is a vital part of almost every technology-rich building environment. With numerous platforms and collaboration applications, our team credentialed AV consultants and technology designers can assist our clients in cutting-edge presentation systems that require first-hand experience in the area of audio and video solutions. 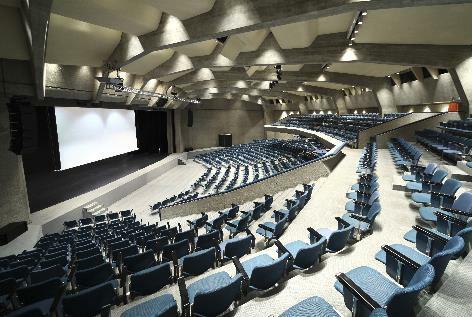 We have planned and designed more than 300 audiovisual space, including meeting spaces, seminar rooms, board rooms, auditoriums, tiered classrooms, simulation rooms, amphitheaters, courtrooms, and public meeting spaces. Our consultants will recommend vendor-neutral solutions that address the goals of the project including consultation on room layouts, lighting, control systems, projectors, monitors, power and electrical requirements for these specialized environments.